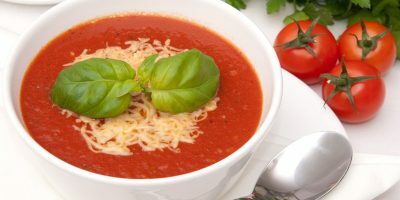 A full flavored creamy tomato soup made with vine ripened tomatoes and garnished with homemade garlic croutons and Parmesan cheese. 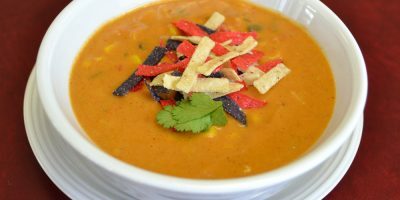 (Note: This soup is vegetarian and gluten-free – ask for no croutons) Contains dairy. 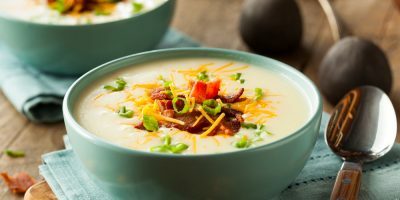 A creamy potato soup, topped with cheese, bacon, and green onions. 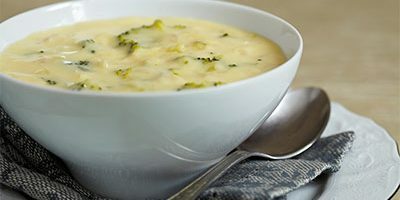 It’s our bestseller!